If you want to learn how to be a DIT then listening to what Robert Trim, Associate Professor of Digital Media at Utah Valley University and the author of Digital Imaging Technician, has to say is a good place to start. I’ve previously reviewed Robert’s book in this post on 5 Books To Help You Learn To Be a DIT, and the second edition in this recent How To Be A DIT post. You can check out the full series of DIT Posts (nearly 20) in this contents page post. Robert was kind enough to answer some of my questions over email on the essential skills, personal capabilities and responsibilities of a working DIT. Enjoy! When you teach someone to be a DIT in person what kind of stuff do you cover? – Practical skills with cameras, hard drives, carts, monitors? – Digital Theory – 3D/VR/workflow etc? The answer is ‘yup’. All of these are well within the required scope of understanding of the current DIT. As I state in the book, “This is the digital dragon.” All of it is included. When cameras morphed into computers with a lens, the lines blurred and the image became one with the Matrix. Sorry, couldn’t resist. And herein lies the difficulty in teaching this craft. It draws from so many technical areas ones head hurts fairly fast. The line I have to walk when teaching to a wide range of skill-depth in any of these areas, is to make sure the relationships between topics are realised. If one can do that, then most of the time, the learning-light goes on and they get-it. Covering the basics has proven to be successfully taught within our 16 week semester time frame. That’s three hours in the classroom each week with double that in homework. It is more effective to teach the same material two or three hours per day, four days per week, for seven weeks. That’s how I am teaching a DIT course at a University in Austria this summer. I’ve found the same to be true when I teach Avid Media Composer too. The key to making this work for anyone is, as I have mentioned, relationships. Most software, with the exception of Assimilate’s Scratch, has a similar interface and workflow. Learn one, and you can jump into another and be functional. Not a power user, but workable. Same goes for cameras. It would be counter productive to teach all cameras, their menus, codecs, data rates, and so forth. There are common threads that once understood, one can adapt or at least know what is different and begin figuring those differences out, from an informed vantage point. Ultimately it is about teaching the skill sets that allow the newly minted DIT to critically look at technical specifications, inter-connected technologies and determine if they will work for the task at hand, and how they will ‘play’ with other technologies. It’s very much like when students understand the difference between Gamma and Gamut, when looking at monitor specifications. That part of their cryptic, technology driven world just became flatter. What are the core personal skills a good DIT needs to have to make it in the business and on set? Wow. So many and they’re different with each job you’re on. Some jobs you’re just a tool. They call you to set to get the camera cards and you hide in your space pushing ones-and-zeros around as needed. Other jobs, you better have your processing fairly automated on the software side because you will be baby sitting the Cinematographer. This means flexibility. This means adaptability. One thought that came home to roost for me some time back was; I am working at the arm of one of the key, high powered creatives on a daily basis. They are entrusting their craft in my hands. That is sobering. I never loose sight of that. If I protect their work and them, I have done a great deal of my job on any given day. You also must deliver what you said you would, when you promised. Whether it is right or wrong, they were content with getting dailies in three days during the film processing years. If you miss the 9am the next day delivery of the dailies, you are ‘the problem’. And if post production calls production wondering why you are sending them the wrong ‘required’ outputs, you are ‘the problem’. On the business side, this is one of the missing skill sets for most people in the production side of the industry. If you go into this or any part of the world of independent contractor or work-for-hire, you better have a really good grasp on basic business accounting, what you need to charge to make a living and what the market will bare. The road to success (a.k.a. a good living) is strewn with techno-savvy and very artistic people who just could not wrap their heads around the business side of things. What are some of the early mistakes young/new DIT’s often make? Like most early technological advances, it was rough going and the move from film to digital acquisition was a trail of tears and hollowed out segments of the project where the ones-and-zeros were supposed to be. Look at the early flight videos on YouTube. Lots of those fit into the ‘seemed like a good idea at the time’ category. So lack of knowledge of the whole, inter-connected arena containing codecs, color spaces, bit depths, file formats, and proper tools to complete today’s tasks generated by today’s great digital cameras, is huge. In this playing field, a little bit of knowledge can get you and the production into a huge mess, rapidly. The new DIT or asset handler needs to start off slowly and under someone’s wing. Even after reading and digesting my book. If you don’t know how to purposefully create a folder and purposefully save files into that folder, go no further. With the current state of computer OS interfaces, we are so far removed from the basics, few young ones even know that you can do this. The fundamentals are getting lost. Wrong tool(s) for the task. You don’t want to go into a production with Premiere or Avid as your asset management tool. Just because you can accomplish most of the tasks needed on a simple production with these, they won’t work. This is very much like showing up with a knife to a gun fight. There are tools for this task and they need to be learned. No understanding of what is needed for the next step in the asset chain. Typically editing. I have been on jobs where the total task was organizing the assets with the required backups and that was it. Seems simple until you figure out that you have no clue how to do this in an industry standard layout. This is one of the most important steps within your job. When you’re on a serious, multi-camera, multi format show, then that delivery to editorial will be driving what you do in no uncertain terms. Not understanding the quality of gear an asset manager needs. This is different than ‘wrong tools’ is some ways. Working with cameras that can generate hundreds of gigs of data per day is not something the first timer fully appreciates until they wade in, neck deep. Hiding behind their computer. The DIT or asset manager is a resource to the camera crew and the Director of Photography. You’re part of that crew. If you’re not around or can’t be found, this is a serious mistake. People skills with a secret decoder ring. Unfortunately some of the ideal computer nerd types can’t survive in a collaborative, creative environment. It’s not enough to be likeable, helpful, fun to be around. You have to learn how to explain what you are doing, or what they need to do, in non-techno-babble. The smartest DIT’s I know working today have vast, deep, almost unimaginable wells of technical understanding, but you would never know it when they explain something to a less-than technologically adept DP or producer type. This skill is an art in itself. There are more, but those I have found, are the most significant. Why did you write your book in the first place? I’d love to say “it’s about time and why not me” but it’s more complicated than that. And if anyone thinks about writing a technological based book and the “why not me” seems like a good idea– rethink that. It’s really, really hard and super time consuming. I’m not sure I fully understood that at the outset. I have had the good fortune to start in the media, TV and film business when it was—film. Unlike others, I guess, that could not hang in there with the technology leaps, I seemed to thrive on it. I also liked teaching those who would spend the time. Others said I have the ability to pull all the technical stuff together and then explain that in understandable terms. Some 30+ years later I teach full time and practice what I preach between the cracks. But I do have the unique viewpoint that spans film to analog tape to digital tape to file based workflows. At the University where I teach, we have a course called ‘Digital Output’ that has languished for years. Initially it was designed to deal with ‘outputs’ more in-line with still image file formats and printing. The whole Digital Media program this is wrapped inside of, decided to surf the leading edge whenever possible. This digital cinema thing caught traction and ‘digital output’ took on a broader, more complex meaning. Plus it was something that interested me, even with its footings still firmly in quicksand. When writing curriculum for teaching a course, one spends a great deal of time researching, looking for resources and a core textbook. Although I am leaning more towards less textbooks and more current articles found in journals and the web. That might sound strange as I just wrote a textbook. But what I found was a black hole where current asset management information should be. There’s lots out there, but you need some motivation to dig it out. And, if you did find what you needed, it was fragmented with no clear, under-one-hood road map, or so technical it was gibberish. It was very clear based on my background and the rapid changes in all things digital for our industry, this was going to be the deep end of the digital pool for most. 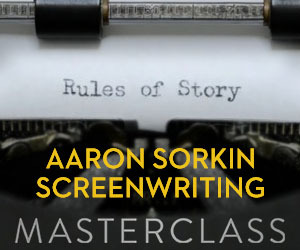 That helped me focus on something that was entry level with enough foundational information to make the reader functional on any level of productions and to further their quest for higher, deeper understanding. What’s in the update to the second edition of the book? Lots! The workflow tutorials are the core of the book. You are taken through the same, daily workflows with four key pieces of software. There’s been drastic improvements in workflow, features and interface with all of them. 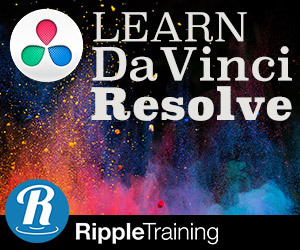 DaVinci Resolve now v12, Scratch is v8.4. REDcine-X has seen both fixes and additional features, requiring update. A significant amount of new hyper-links have been added to good-current information, I have mined off the web. The web is a slippery place for stable links as we all know, so those 404 dead ends should be fewer, but never fixed totally. That’s the nature of the web. Most significantly is the massive revamp of the chapter layouts. It was clear in the first edition that it ‘sorta-worked’ as a whole, but needed to be ‘re-thunk’. Students are great for feedback like this. Comments like ‘I got this part but not until I read this a few chapters later’. So why not fix that as well? As with any publication, the layout was tweaked a bit. This is easier to do when it’s an ebook. And ebook formats like iBooks from Apple allow for interactivity with the book itself. I can’t say much about the rest of the update that’s coming at this time because it’s in development. But I can say that if you’re a visual learner– you are going to love this addition to the book. Plus it will be surrounded by a vast array of other ‘like minded’ information making it a hugely valuable resource. Who should buy your book and what will they get out of it? I will say that the title does direct this book at a fairly narrow audience. I’m rethinking that by the way. Putting the ‘DIT’ aside for something more reliant like ‘Digital Asset Management for Digital Image Makers’ is closer to what I am attempting to accomplish. The nice thing about the book as it is, although focused on one aspect of digital asset handling, are that it’s themes, basic information and processes are universal. If you are somewhere between ‘newbie’ digital filmmaker and reasonably seasoned in the craft, the tutorials are key. Most don’t grasp all the details of the workflow from when the memory card is ejected and one parks in front of the computer to begin editing. This is a really tenuous timeframe for the digital assets and those that are happily ‘finder copying’, could find their way into a really bad outcome. This book fixes that. This stuff is also complicated. It’s hard to learn and understand for the best of us. I’m trying to bring the creative side of these brains in closer harmony with the technical side, so their only-copy-of-the-project with all that creative effort, isn’t lost when the drive dies. Spoiler alert: One copy and you don’t own it. Two copies, you think you own it. Three copies—you’re good. Are there other resources you would recommend? Oh yes. 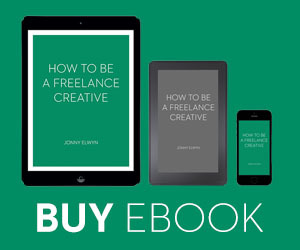 A lot of the books on filmmaking and editing are being updated to reflect the move to digital. Some are fairly shallow but helpful. The one I like is Blain Brown’s book “The Filmmakers Guide to Digital Imaging: for cinematographers, digital imaging technicians and camera assistants”. This book came out just as I was wrapping up my first edition release and I thought, ‘oh crap’. But after reading his book, I found it fits perfectly as an extension to mine. He doesn’t go into the ‘how-to’ of the daily activities and that’s where mine is focused. How do you build a DIT computer, which software to get and step-by-step on how to use it, is missing from Blain’s book. But he takes a different approach to understanding digital cinema with a lot of pages dealing with the camera and technical side. Great stuff and really dense. How do you stay on top of the latest technological developments? As an academic, I have an advantage when it comes to information. Others in the industry feel comfortable in sharing their trials and tribulations. Their solutions to problems. Which is as it should be, passing information on to the betterment of the craft. And it helps that I do this asset management work whenever possible. As well, I have been very fortunate to have be-friended many who are, what I would unquestionably state as, the sharpest pencils in the industry. I have yet to walk onto a set, after all these decades, and not learn something. Same goes for articles, books, web ramblings I read. You said yourself that the series on being a DIT you created was mostly an aggregate of others work, thoughts, teachings. It did not diminish in the least the value I and others gain from your efforts. What I’m trying to say is that there isn’t one specific blog, or article series I read. I do read very specific areas however. For example, the TaoOfColor weekly newsletter is an aggregate of links to articles and videos that piked his interest. If it’s about color, then it must include something about codecs, color spaces, monitors, calibration techniques, etc. All of this and more falls into the daily workspace of the asset manager/DIT. Articles on workflows are very helpful. Creative Cow has lots of these and a very active community with areas for just about every bit of what we deal with. I like to read the ‘how did this production using these cameras and this editing process move the assets with less pain’ articles. Sometimes there’s some nugget of a technology that was used in an unusual way to accomplish the task. But it’s also good to note what didn’t work as well. The RedShark Weekly Roundup has good stuff as well. This is an extension of LightWorks NLE software and BlackMagic. But they cover a wide array from the upcoming cameras, software and such. One of their regular contributors is Phil Rhodes. I have followed his articles since he started decades ago. Phil gets it and his words always enrich ones knowledge base. I wish Charlie, a busy DIT who writes a blog called Dork In A Tent, would write more often. He uses different tools than some and it’s interesting to see his take. The Academy of Motion Picture Arts and Sciences has an ongoing project focused on a new workflow called ACES. In my book I spend a good chunk of pages explaining this incredible workflow that solves some real stumbling blocks with digital cinema files. The core of this is on their website and available through monthly newsletters. How do you see the (emerging) role of the DIT evolving already and into the future? One thing is very clear from my vantage point, technology is not going to remove the person from the equation. No matter how good artificial intelligence might become, I doubt that we will ever get to the point where the camera crew shoves the camera card into a slot in a box and the system spits our 3 backups, Rec.709 dailies sound synced. Then be able to, by voice command, recall a clip and answer the question ‘why does this look like this’? That’s the good side of the future. The more troubling side is keeping up with innovation that supports or leverages your services. Not only keeping up, but figuring out how this might give you a competitive advantage. Here’s an example of what is emerging as you read this; there is a DIT company that has rolled out very good server-side engine that processes dailies. It also integrates with a cloud based access point for the production company to view and collaboratively comment on the dailies/shots. This does not eliminate the need for the DIT person to handle the files. They will still import, sound sync, create backups, and required exports for editorial. They will interact with the crew as only a human can. But one of the most time consuming parts of the day, rendering dailies AND uploading to a cloud, is now one activity– uploading to the cloud. I’m not going to wade to deeply into this political time-bomb but, like others, I feel strongly that the representative union for DIT’s is the wrong one. Local 600 has to let the DIT craft move to where is belongs, post production. The only reason that today’s DIT does so much support for the camera crew is that the new cameras are computers with a lens. Until the 1st AC’s and DP’s catch up to a level of comfort they found in the film stock era, the DIT will have their efforts pulled in two directions. And one of the big movements will only get stronger. Digital killed the chemical labs and that work is now done on or near-set. The move of services to where the production is, in a more integrated manner, will increase. DIT started on and is linked to the daily set operations. Editorial is moving closer to productions. 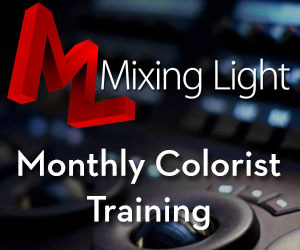 If I were to give some free advice to brick and mortar editorial and color correction operations, get mobile. It won’t be long before the studios will realize the cost effectiveness and speed of delivery that can be obtained by having this triad of services close at hand. There is no reason why your infrastructure can’t move with the circus. The increasingly smaller and power packed processing cores for these services will make this near-set availability more of the norm than it is today. Software tools that will run on Unix OS. This one development can and will be a game changer for processing power and workflows. Lightworks NLE software gets it. But it’s the chicken and the egg right now. If there is demand, they will port the software over, but they are not going to spend the time and money hoping we will buy. It is easier than the developers might think. Mac software is already a Unix kernel. And you can run Unix and the MacOS at the same time. It’s just not a comfort zone or a risk they are willing to take.